The Stanley County Fairgrounds is home of a rich tradition, one that brings together horse enthusiasts from across the country. Since 1948, the fairgrounds has hosted the Fort Pierre Horse Races, held the first weekend of May each year. This year's event was April 30 and May 1, 7 and 8, 2016. It's a tradition locals are desperate to hang onto; however, with the rising cost of insurance and decreased money in the purses, fewer jockeys and trainers are bringing horses to smaller tracks, and it's getting harder to keep the doors open. In South Dakota, only two horse race tracks remain: in Fort Pierre and Aberdeen. "We used to have a lot of horse race tracks in the state, and it's dwindled down to just a few," said Dennis Booth, race track manager. "The big race tracks are doing well, but the smaller ones are disappearing everywhere in every state." 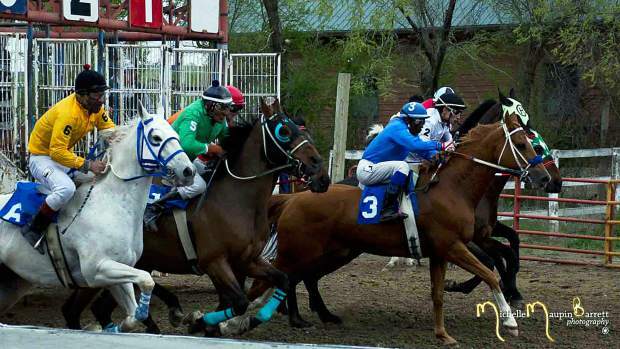 There was talk in 2015 about canceling this year's event due to these financial challenges; however, Booth says securing a cheaper jockey insurance rate through the Verendrye Benevolent Association, along with a larger purse, allowed the track to stay open another year and enticed participants to once again head to Fort Pierre for the annual event. "We are all facing the same challenges financially," said Booth, who has been the track manager since 2011. "It's all contingent on how much money is available in the horse race pool. 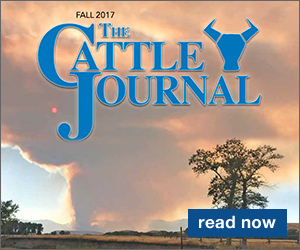 The funding has been going down for several years, but because we were able to cut our jockey insurance costs, we were able to operate again in 2016." "With fewer betting parlors to work with, there is less money to fund the races, so that's why we've cut back from four weekends of races to only two," added Billy Floyd, race track secretary. "We definitely plan to keep the track open again next year, but we won't know for sure until our annual meeting in November." This year's event featured eight races each day with 6-7 horses per race. With more than 200 horses on the grounds, race fans were able to view and bet on a wide variety of athletic horses and jockeys participating in the races. "The crowds really seem to enjoy the event," said Booth. "They are able to watch the horses parade into the grand stand and see the animals exercise near the gates, giving them a chance to view the horse they would like to bid on. The races are always exciting; you just never know what to expect. Sometimes the winner is decided by a photo, where one horse is just a quarter-inch further past the line than the second place finisher. These things really amplify the excitement at the races." The racing tradition in Fort Pierre was started by local horses owners, who for decades helped to support the program and establish this long-held tradition of racing. Today, community support is still evident, with large crowds gathering for the event throughout the racing weekend. "The races look much the same today as they did sixty years ago," said Booth. "It's the same track, the same event, great horses and jockeys, and the same racing tradition." "I've been going to the races since I was in high school, and I've always enjoyed the betting aspect of the races," added Floyd. "The trifecta wagering pays a little bit more, and from a dollar bid, you could take home $200-300. It's a lot of fun, and the last couple of years, we've had really great attendance, with more young people interested in the races." The cost of admission for the races was only one dollar, allowing for anyone and everyone to afford to come to the races. Two days of the event were free hot dog days, which drew a large crowd to the races. Dorene Foster of Dakota Radio Group served as the announcer of the event, and despite a rainy weekend, Booth said the crowds were bigger than ever. "The flying mud on the track always adds an extra element of excitement to the races," he said. On the final day of the 2016 races, a track accident resulted in two horses needing to be euthanized. "It was a freak accident," said Bob Johnson, a trainer from Lemmon, S.D. "One jockey made a mistake, and it sent both horses over the rail. One horse broke his back and pelvis and the other broke his forearm." "We are thankful neither of the jockeys were hurt," added Floyd. "Accidents and injuries are part of the game, but it was definitely a bad wreck. Horse accidents happen whether they are out on the pasture, in a rodeo or at the races; it's just part of nature." 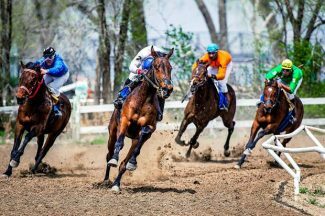 The accident received some media attention; however, Johnson said it's important to note to those who might criticize the sport of horse racing how well the horses are treated. "These horses are pampered from the day they are born," he said. "Racing is what these horses were born to do. As a rule, they are very well taken care of." Johnson brought 60 horses, most of them two-year olds, to this year's event. "I've been training horses since 1976, and I've been going to the Fort Pierre races since I was a kid in 1968," said Johnson. "I've won several races there over the years, and it's always been a fun event, whether you're a trainer, owner, jockey or in the crowd. It seems like there are a lot of younger people going to the races now because of the live excitement; it gets them out of the house and off the computer." Johnson trains his two-year olds for 150 days before getting them on the racing circuit. He begins his work in January to get them ready for the race season to kick off each spring. "Johnson is one of our track's top trainers," said Floyd. "It's folks like him who help keep the racing tradition alive in our small communities." In small town USA, many towns are lucky to have a restaurant, a pool and maybe a movie theater, and the Fort Pierre community is lucky to have the races to look forward to each year. "It's a long ways to any place that has horse racing," said Booth. "If Fort Pierre and Aberdeen were no longer in operation, folks would have to travel to Minneapolis or Des Moines. This has been a great tradition in Fort Pierre, and it would be a shame to see it end. Hopefully, we will find a way to keep it going. 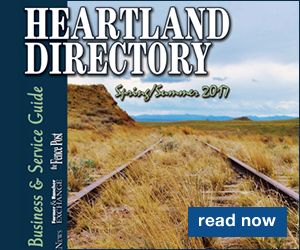 There isn't a lot to do in rural America, and this is an exciting event located close to home."